There’s plenty of Trek merchandise out there, from giant ship replicas, to fancy dolls, to actual meme statuettes. But for honest to god action figures, it feels like it’s been years since there’s been a line of Starfleet’s finest small enough to command your valuable desk space. That’s finally changing thanks to McFarlane Toys. 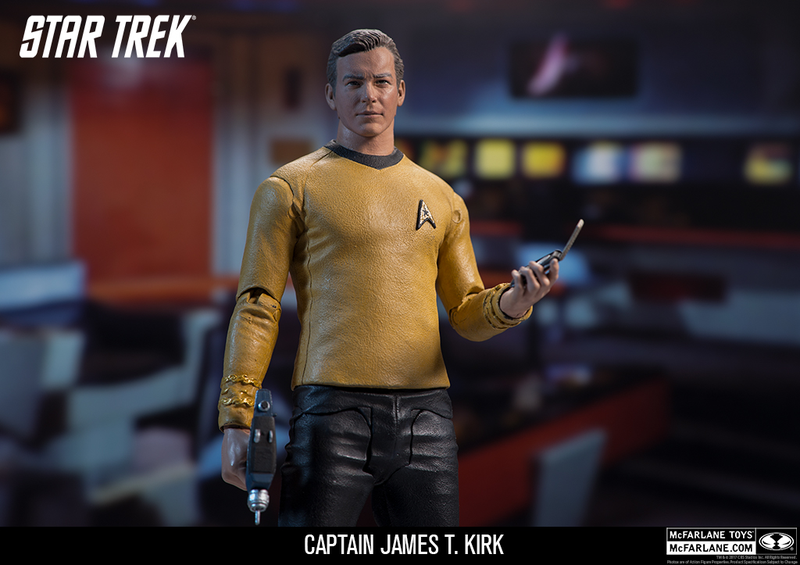 It’s been about a year since McFarlane announced it had acquired the rights to make new Star Trek figures, including characters from the then-upcoming series Discovery. 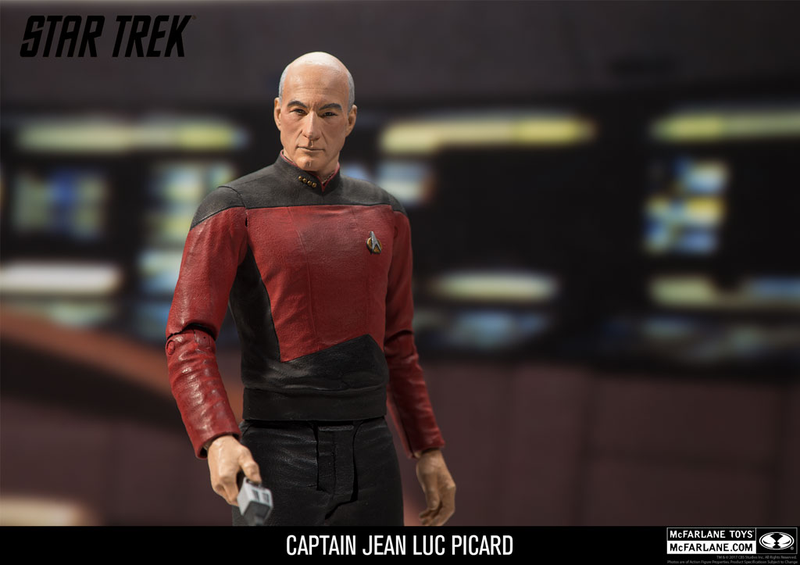 After the company showed up to events like Toy Fair with little more than empty boxes, we’ve finally got our first look at the two figures that will launch the company’s new Trek line of 7" poseable toys: fan favourite Captains James T. Kirk and Jean-Luc Picard. 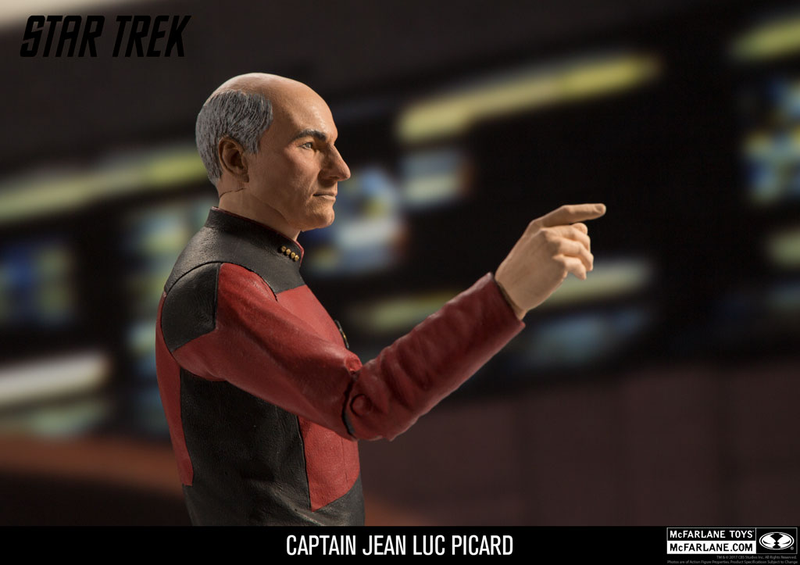 Kirk and Picard both feature a range of articulation and accessories that allow you to pose them boldly going, one stiff plastic step at a time, and feature pretty decent likenesses of William Shatner and Patrick Stewart as they appeared on their respective series (although the Stewart sculpt looks much more like him from the side rather than head-on). This is a very good Bill Shatner “Am I squinting or acting?? ?” face. Nothing says ACTION FEATURE like the ability to give orders. What good’s a Star Trek action figure if it can’t look like it’s giving orders?